Event Description : PHOTO EXHIBITION : Goonj presents "Disasters: Myths and Realities - 2 decades of learnings from Ground Zero", narrates some innovative ideas, strategies, for a world increasingly fraught with disasters. A powerful collation of pictures and insights from the journey of 20 years in disasters - from Kashmir to Kerala, from Assam to Gujarat and from known to neglected annual disasters. 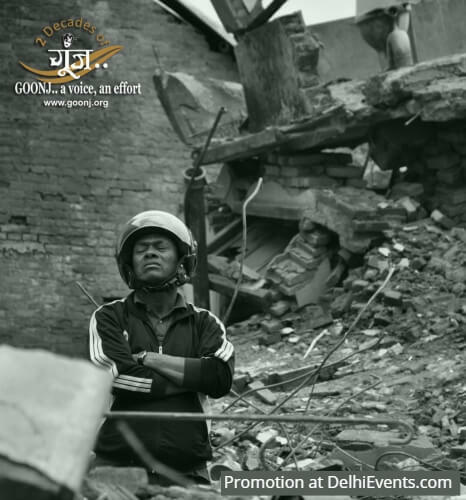 All exclusive photos of Disaster has been taken by Anshu Gupta- Founder Goonj.